The "No Head Dragon", An underground syndicate is eager to interfere in the competition for the sake of their profits and the First High School is their main target. 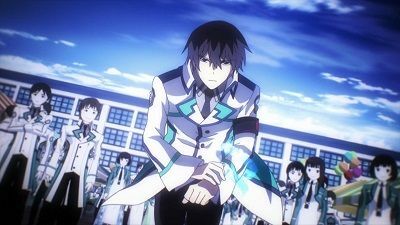 Meanwhile, the students under Tatsuya's care are doing better than expected in their events, drawing the attention of those who still can't acknowledge his talent just because he is a Course 2 student as well as First High School's main rivals from Third High School. 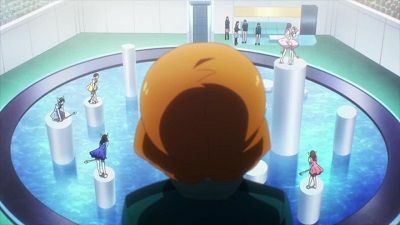 The Nine Schools Competition proceeds without further incident until a number of students are seriously injured under suspicious circumstances and Tatsuya is tasked with assembling and leading a team to compete in their place. Tatsuya enters the competition with his friends Leonhard Saijo and Mikihiko Yoshida in the "Monolith Code" event. 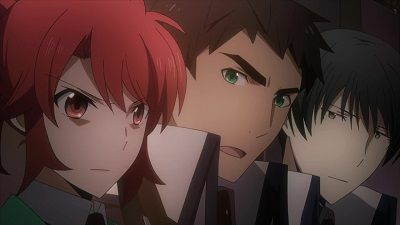 While watching out for No Head Dragon's interference, Tatsuya makes preparations to confront the two most gifted students of Third High School, Masaki Ichijō and Shinkurō Kichijōji in the final match. Tatsuya and Masaki's teams face off in the final match. 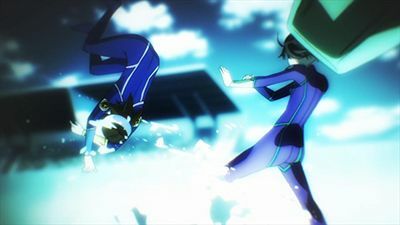 Despite knowing that with the rules standing, Masaki's abilities surpass his, Tatsuya confronts him head on, resulting in a spectacular duel. Making a critical mistake, Masaki breaks the rules by accidentally using a lethal attack on Tatsuya. Tatsuya manages to defend partially, but is hit and seriously wounded. However, he uses his self-restoration to overcome his injuries and while Masaki's still in shock from allowing himself to make such a mistake and/or possibly killing his opponent, Tatsuya incapacitates him at point-blank range. Meanwhile, Mikihiko faces off against Cardinal George in a lengthy duel, during which Leo helped Mikihiko only to be hit by Masaki's spell. Mikihiko finally defeats George, but is on the verge of losing to the third member of Masaki's team, when Leo manages to deliver the final blow, allowing First High to win the match. Throughout the course of the 21th century, science evolved to the point of allowing humans with special skills to develop the art of magic. 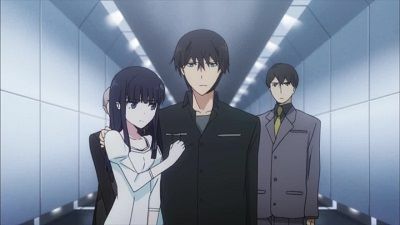 In 2095, Tatsuya Shiba and his sister Miyuki enroll at the Private Magic University Affiliated High School, but their different grades during the exam tests put them into divergent paths as while Miyuki is paired with the students with high magical skills, (labeled as "Blooms"), Tatsuya is assigned to study with the lower-skilled ones (labeled as "Weeds" in a derrogatory manner). Once realizing how he was defeated by Tatsuya, Hanzo recognizes his worth and accepts him as part of the Student Council. Now as an official member of the Public Morals Committee, Tatsuya must work hard to enforce order at the school, specially against those who refuse to comply with his authority just because he is a Weed. 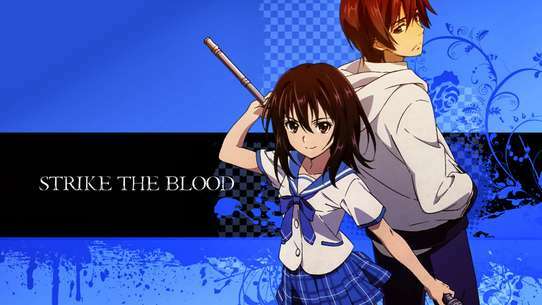 Tatsuya's skills and wits bring the attention of Mayumi Saegusa, president of the Student Council and Mari Watanabe, leader of the Public Morals Committee invites him to work under her, but the vice-president Hanzo Gyoubushoujo Hattori opposes the inclusion of a Weed among their ranks and challenges him to a duel in which he easily loses. 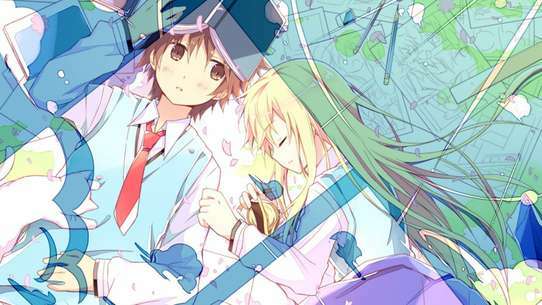 Tatsuya is approached by Sayaka Mibu, another Weed like him, who wants his cooperation in a plan to put an end to the discrimination between Blooms and Weeds at the school, but he refrains from giving an immediate answer, suspicious that she is being manipulated by someone else with ulterior motives. Tatsuya and his friends help defeat the terrorists and put them under custody. After learning Sayaka's reasons for cooperating with them, Tatsuya decides to attack the enemy hideout in order to help clear her name and take back at them for using her and invading the school, assisted by a few other students. 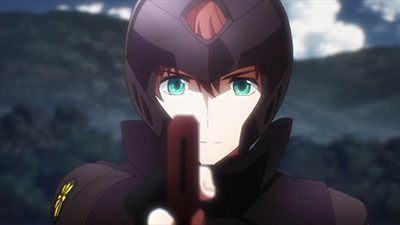 Tatsuya and his friends storm Blanche's hideout, confronting the group's leader, who confirms that he had manipulated Sayaka's memory and with all the terrorists subdued, this information is used to clear her name. 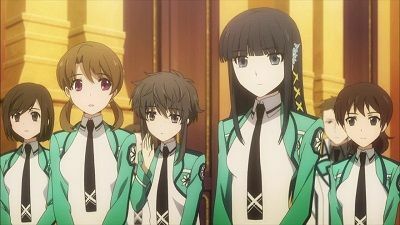 After Sayaka is released from the hospital, Tatsuya and Miyuki return to their normal school life, but elsewhere, another prodigious magician make preparations to confront him. The inter-school sporting event known as the "Nine Schools Competition" is at hand, and Tatsuya, in recognition of his superior magic-tuning skills, is named to the engineering squad, over the objections of a number of Course 1 students. 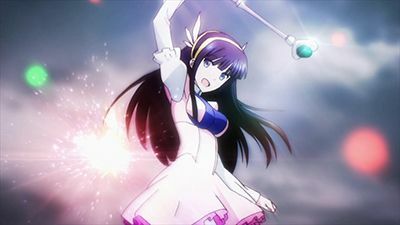 After school, Tatsuya surprises his sister when presents her with a magic tool he developed that allows a person to fly, a feat that no one has never attained before. 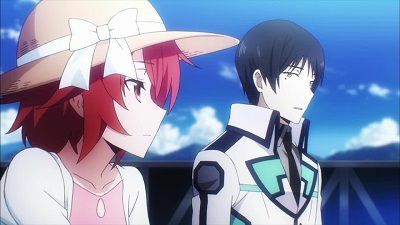 Tatsuya and Miyuki pay a visit to Four Leaves Technology, where Tatsuya unveils his flying CAD to Ushiyama, the other half of the genius magic engineer Taurus Silver. After a brief encounter with their father, the siblings set out for the Competition, but on the way there, a traffic accident occurs, putting the students in danger. Tatsuya, Miyuki and Katsuto Jyumonji act to prevent the car from ramming into the bus. 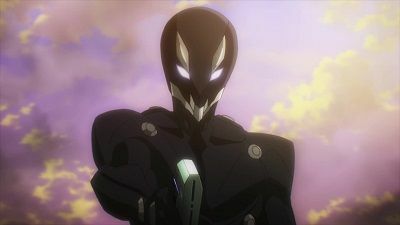 From traces that his is able to find, Tatsuya determines that the incident was orchestrated to look like a traffic accident but was instead a suicide attack. On arriving at their hotel Tatsuya and Miyuki are surprised to find Erika and Mizuki present. 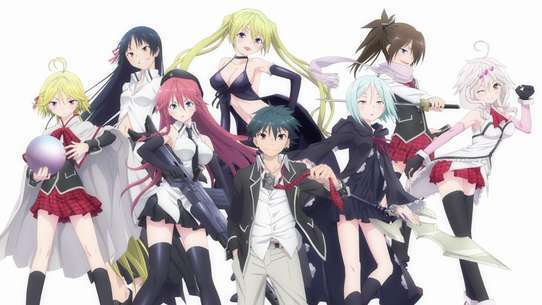 The event opens with a banquet where the students from the nine competing schools mingle, unaware that unknown enemies are threatening the event. 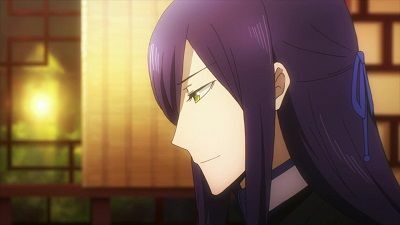 The Nine Schools Competition begins and Tatsuya puts his tuning skills into practice in order to help his friends performance, while staying on watch for further disturbances. 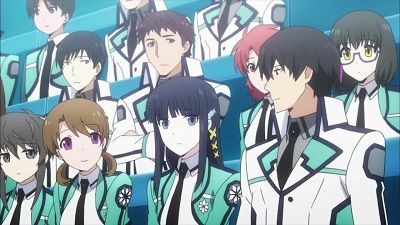 One of Tatsuya's friends is involved in a serious accident during the competition and the other students increase their vigilance after Tatsuya reveals that she was actually a victim of sabotage. Desperate with the recent developments, No Head Dragon start interfering with the competition directly, risking the lives of players and audience alike. 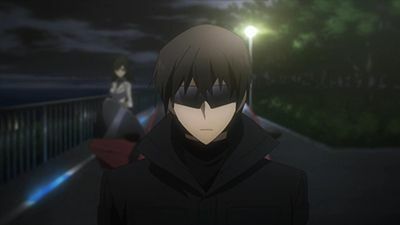 However, Tatsuya remains vigilant to stop their plans, specially when Miyuki becomes one of their main targets. 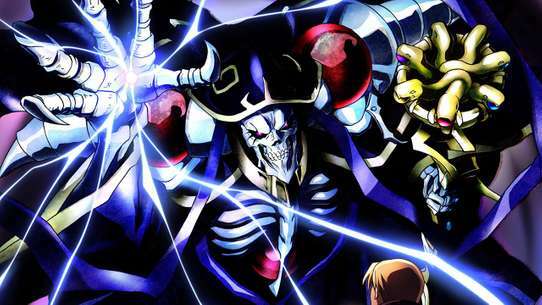 Tatsuya attacks a meeting of the No Head Dragon members by casting extremely long range magic from a tower visible from their meeting place. 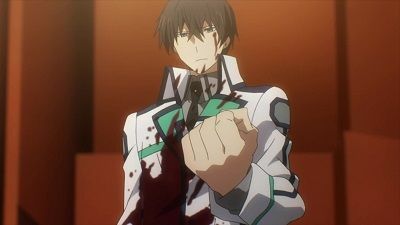 After learning that the head of the organization's name is Richard Sun, Tatsuya proceeds to kill everyone present at the meeting, mostly influenced by his feelings for his sister. On the next day, the competition ends with Jyumonji single-handedly winning the Monolith Code event, confirming the championship for First High School. After Mayumi and Jyumonji discuss the long-term effects that Tatsuya's victory over Masaki (the probable future head of the Ten Master Clans) as the reputation of the Ten Master Clans could be tarnished, Tatsuya is asked by Jyumonji to join the Ten Master Clans by marrying Mayumi or one of her sisters. 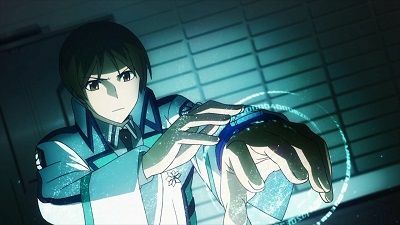 Following his feats in the Nine Schools Competition, Tatsuya is scouted to participate in another important event, the "Magic Thesis Competition" and his team has only a few days left to produce the applicable material before the deadline. 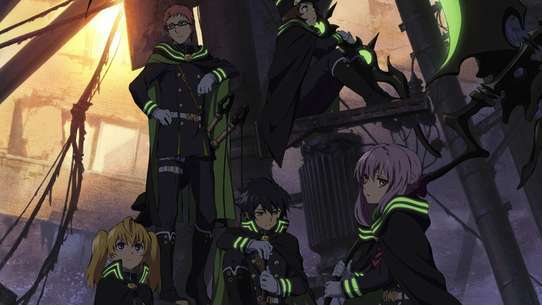 Back at home, Tatsuya and Miyuki have an encounter with their step mother, who enlists Tatsuya's help to replicate an elusive relic that can change the history of magic forever, but a new group of enemies appear, intending to steal it. While gathering material for the thesis, Tatsuya gathers allies to start his own investigation on who intends to steal his and his family's secrets for themselves. Lu Gonghu's attempt to remove Chioda is foiled by Watanabe and Naotsugu Chiba. Mr. Zhou visits Chioda later, and appears to cast a memory charm on her to make her forget about her involvement with them. Saegusa, Watanabe, Tatsuya go to the detention facility and illicit a confession from Sekimoto on his intention (and unsuccessful attempt) to steal the Magic Thesis project data and locate the relic. Lu Gonghu appears again, apparently to silence Sekimoto, but is defeated by the three and taken into custody. Chen Xiangshan appeals to Mr. Zhou to free Lu Gonghu during a prisoner transport, and Chen promises to watch over Chinatown during the operation. Lu Gonghu is broken out shortly after by Mr. Zhou's forces. 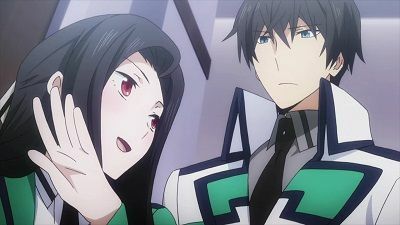 Ichihara visits Chioda to convince her to hold onto her feelings of bitterness for Tatsuya, believing it could be the key to Chiaki surpassing Tatsuya in skill one day. Further questioning revealed that Sekimoto was operating against the Magic Thesis team under mind control by an adversary organization. At the convention, Jumonji elects to increase security and have all Joint Security Force members wear armored vests. 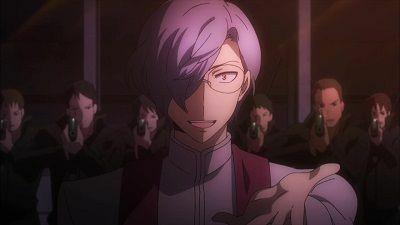 The First High Magic Thesis team successfully delivers their presentation to the audience, with Cardinal George congratulating Tatsuya backstage but promising that his school will beat them. Before they can begin their presentation, however, the convention center is attacked. The episode starts with a vehicle with self-destructing substance breaking into the Control Building, Yamashita Pier and exploding. Toshikazu Chiba on being informed, immediately takes leaves of Fujibayashi, who, on the other hand, decides to stay at the Convention Centre. On the way, he is further informed that rockets had been fired from the moored ship in the harbor, which turns out to be a landing craft. He then calls up his father and asks him to request the JSDF about the situation, to mobilize at once. He also asks his father to send his Ikazuchimaru and the Orochimaru for Erika. Meanwhile, Tatsuya, on hearing the explosion, calls out for Miyuki, who asks him what the explosion was. He replies that it might be a grenade at the front entrance. At the same time, miscreants infiltrate the Conference Hall and take those on guard by surprise. Kichijōji tries to activate his CAD but the miscreants fire their high power anti-magician rifles to make them submit. 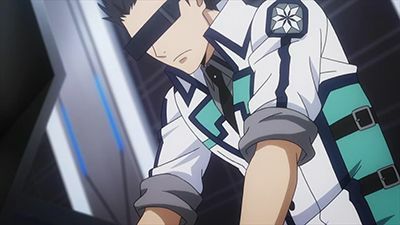 One of them threatens Tatsuya to put down his CAD, but Tatsuya, unperturbed, uses his Elemental Sight to "see" that there were 6 intruders in all. 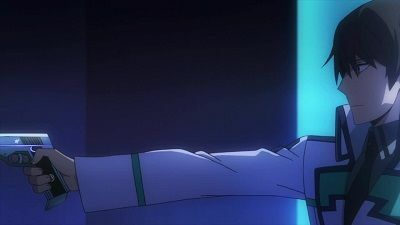 The terrorist fires his gun at Tatsuya, but Tatsuya decomposes the bullet at contact, making it seem that he caught the bullet with his bare hands. Seeing this, the terrorist fires again and again only to be stopped by Tatsuya in the same way. He then uses Decomposition to chop the man to pieces. This moment of confusion is used by the magicians on security detail to apprehend the terrorists. Tatsuya and Mikuyi meets up with Honoka, Shizuku, Mikihiko, Leo, Erika and Shizuku and plan to subdue the terrorists at the entrance. 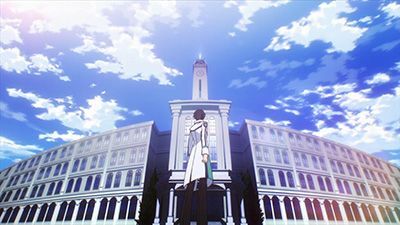 However, Tatsuya is stopped on his way by Kichijōji who asks him if he just used USNA's top secret magic Molecular Divider, which Tatsuya coldly replies,"What if I did? I don't have time to debate with you on this." After the group leaves, citing the commotion in the hall, Mayumi convinces Azusa to use Mental Interference Magic "Azusayumi" to calm everyone down and then informs everyone of the situation. 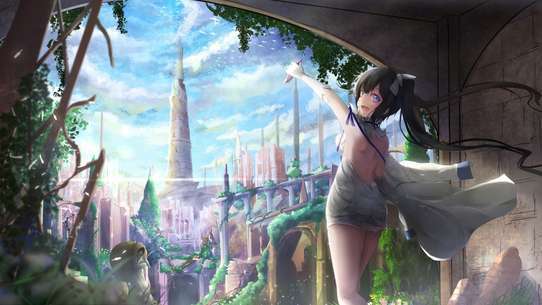 She asks the respective schools to take either of the two paths--1.Use the underground tunnel to escape to the shelter. OR 2.Flee to the rescue ship waiting for them in the harbor. She then leaves Azusa with the responsibility of the First High students. 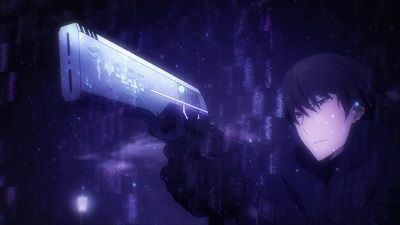 Tatsuya and group, meanwhile reach the entrance and Miyuki uses her magic to freeze the bullets in the terrorists' guns. Tatsuya, Erika and Mikihiko then take the infiltrators down. 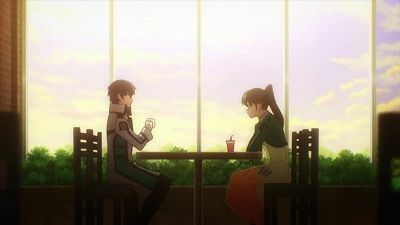 Then, with help of Shizuku, they use the VIP Conference Room to obtain intelligence on the current situation and decide to go to the shelter above ground, but not before deleting the data on the experiments. When the reach the specified room, they find Mayumi, Mari, Sayaka, Kirihara, Kanon, Suzune and Isori, who were there to do to the exactly same thing. Jumonji arrives at the scene and questions them as to why they were still there. Then he sends Hattori and Sawaki after Azusa to the underground tunnel after Tatsuya expresses his concerns of them meeting the enemy head-on. Then Jumonji departs to patrol the surroundings along with Kirihara. After deleting the data on the remaining devices, all of them except Jumonji and Kirihara meet in the Green Room to discuss further plans. Not much time into the meeting, Fujibayashi enters the room. Meanwhile, Jumonji notices incoming supersonic rockets aimed towards the building and uses Phalanx to render them useless. He is then greeted by Captain Shigeru Sanada of 101 Independent Magic-Equipped Battalion and accompanies him into the Green Room. At the same time, Major Kazama had followed Fujibayashi into the room, which confuses Tatsuya. Fujibayashi then tells,"Information classification has been temporarily disabled, Special Officer." 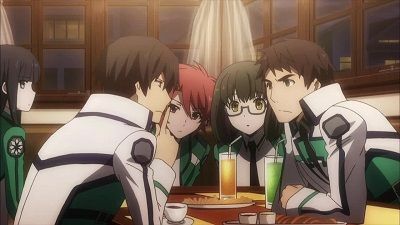 She then describes their situation and Kazama orders Tatsuya to mobilize as well, which draws surprised looks from everyone in the room except Miyuki. As Tatsuya turns to leave, Miyuki stops him. Tatsuya reads his sister's mind and kneels down like a knight before a princess. Miyuki then plants a kiss on his forehead, hence releasing the seal. A blinding flash of psions emerge from Tatsuya, while Miyuki bows, saying,"You now have free rein." Crimson Prince brutally kills attackers while his allies look on in comparable horror. The main personnel evacuation continues through the tunnels despite resistance, Mr. Tsuzura prevents a ceiling collapse that would have killed many of the people in the tunnel. Mayumi and Shizuku call their fathers to lend helicopters to evacuate the personnel who were unable to reach the bunker, and everyone is extracted. Tatsuya takes to the skies in the flight suit, which R&D had improved beyond his own design, and begins by destroying the attackers' recon drones.The battle for the city continues, with notable First High members and Crimson Prince fighting back the attackers. 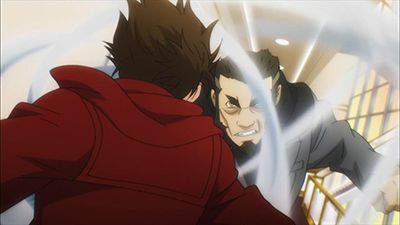 Kirihara is severely wounded and Kei is killed in an ambush, but Miyuki and Tatsuya arrive, eliminating the attackers and restoring both Kirihara and Kei before Tatsuya departs to support another area. Miyuki reveals the price her brother has to pay in order to use his extraordinary power. Tatsuya, meanwhile, makes use of a destructive weapon. All battles come to a head. 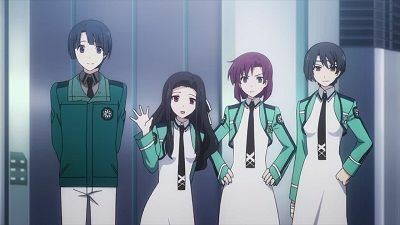 In the end, Tatsuya rejects Sayaka's offer and a group of Weeds led by her lock themselves in the broadcast room, creating a commotion at school. Mayumi then decides to discuss the students' demands by herself, but just as they reach a compromise, the school is attacked by terrorists.